We crafters are always looking for new storage solutions! 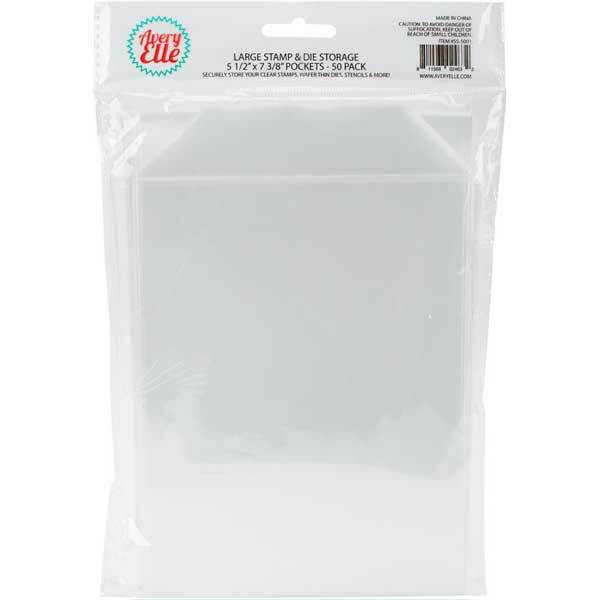 These stamp and die storage pockets from Avery Elle are great for storing stamps and dies, even card fronts and stencils! These store easily in a CD/DVD storage basket or can be clipped up. There are 50 pockets in each packet, in three different sizes with a flap that tucks in to keep your stamps and dies secure! These stamp and die storage pockets by Avery Elle are available in three different sizes. Each packed contains fifty (50) storage pockets, with a tuck in flap to keep your stamps and dies secure!